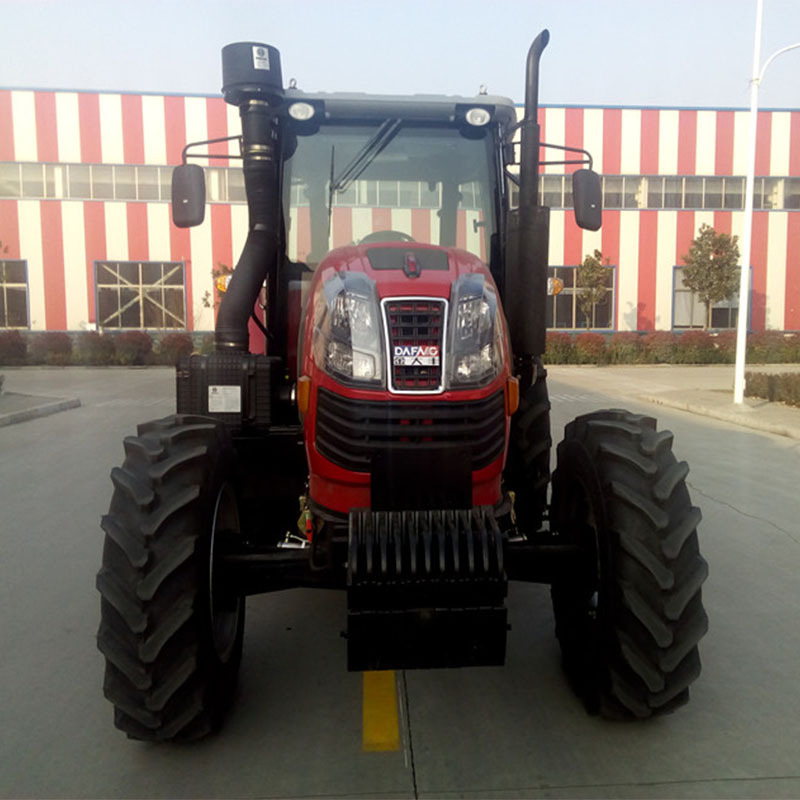 Product categories of 140hp Wheeled Tractor, we are specialized manufacturers from China, 140Hp Wheeled Tractor, 140Hp Wheeled Diesel Tractor suppliers/factory, wholesale high-quality products of 140Hp Wheeled Farm Tractor R & D and manufacturing, we have the perfect after-sales service and technical support. Look forward to your cooperation! 1.Based on European and American technologies, the diesel engine is powerful and fuel efficient. 2.Our Wheeled Tractor can supply sufficient tr-active force to move large implements. 3.Multiple transmission gears, wide speed range, high operating efficiency. 4.Hydraulic steering together with small turning radius makes our wheeled tractor maneuverable and flexible in steering. 5.The use of hydraulic braking ensures reliable braking and high safety. 6.Due to its large fuel tank, the tractor can operate continuous over a long period of time. 7.Elector-hydraulic control of differential lock results in effortless operation. 8.Dual rear wheel configuration is optional.